6"? never saw her at retail! maybe i'll luck out and find her one day! Yep, she's 6". I could never find her, either. 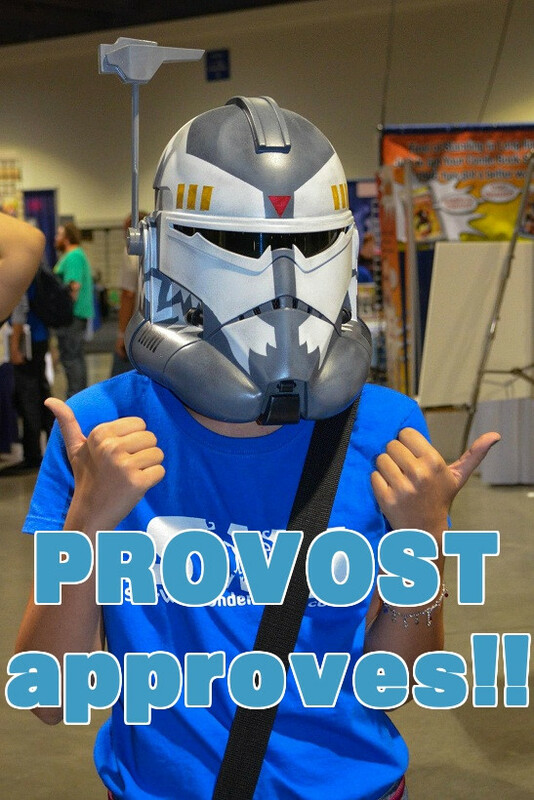 She was one of the fan's choice poll winners, along with Revan. It just so happens though that the wave Hasbro made them available in was near nonexistent at retail. That wave (which I typically just call the Revan wave) fascinates me. Firstly because of the lineup: Revan (thank you fan polls), Sabine, Snowtrooper, AT-AT pilot, Ben, and Leia (even though her first head sculpt was trash) constitute one of the only waves I've ever completed, although with Ben and Leia I technically waited for the 40th anniversary figures but they were still the same toys except for Leia's revised head. Secondly because for whatever culmination of reasons the wave was, as you say here, near nonexistent at retail and given the character lineup that blows my mind. I only saw this wave while all the figures were new once ever which was at a Thinkgeek store and even then they didn't get Revan or Sabine at all, I was present when the employee was stocking the figures fresh out of the back room. The easiest conjecture to form is that since the Rogue One figures were totally stagnant retailers weren't in a rush to order the next wave. 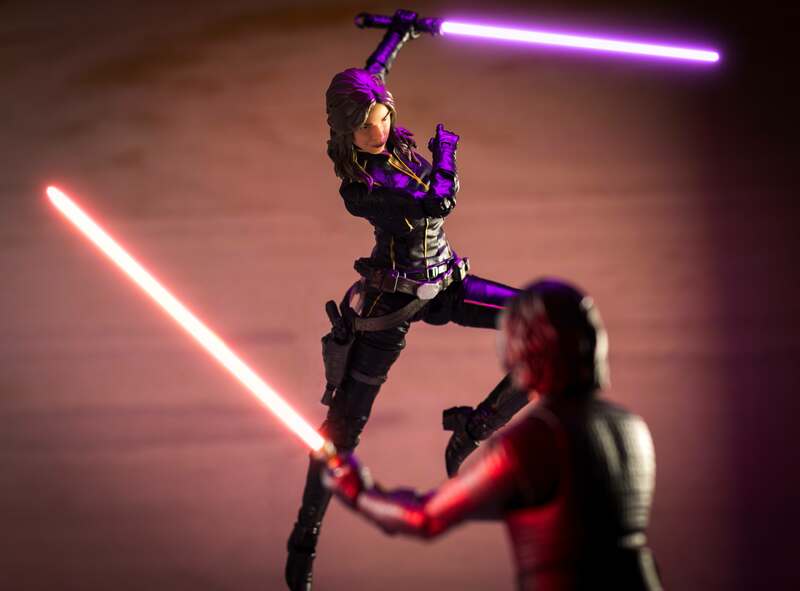 Hasbro's follow-up to this situation was apparently to do nothing for the longest time and so Revan has almost always had ridiculous aftermarket prices while Sabine has never really been cheap. 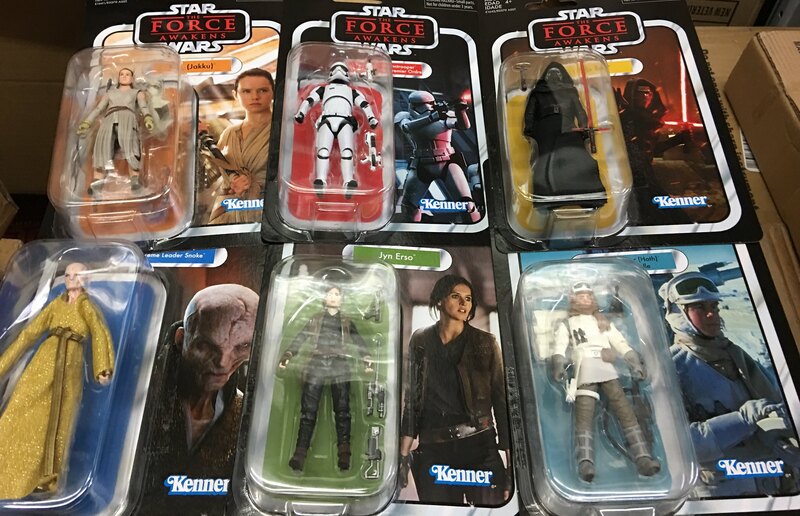 To Hasbro's credit they eventually repacked four of the figures into later waves and it appears they are now finally redistributing Revan at least to online stores. 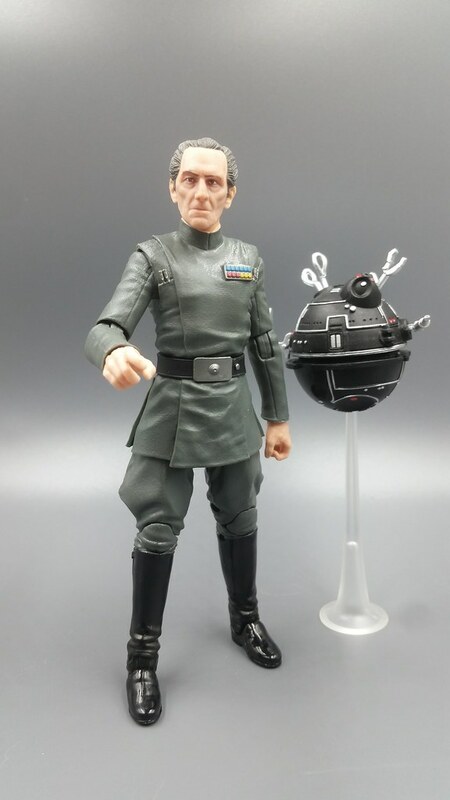 Did you order Tarkin online from somewhere or did you already find him in store? He's easily my most wanted Black Series right now. I get most of my figures from a fellow that is "officially" an EE distributor- but he mostly sells to friends. He is probably the equivalent of a local comic shop getting stock. 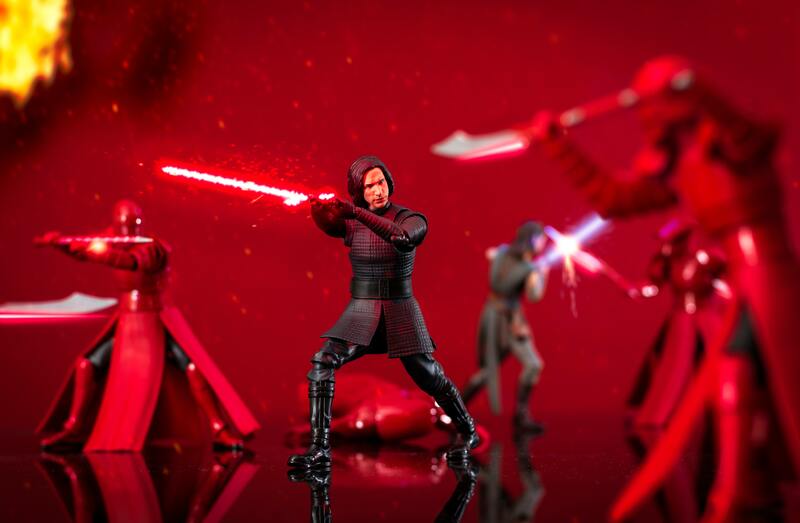 The Walmart Kylo Ren finally came out after three months of waiting. 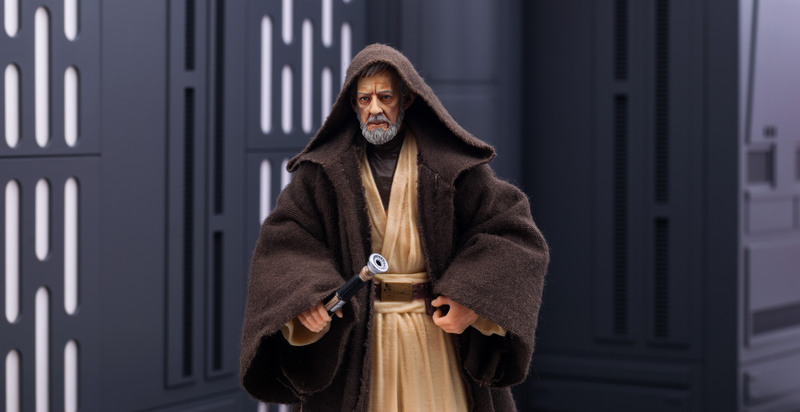 I initially imagined this was going to be available back in Winter when the TRU Rey and Target Luke figures were popping up and apparently a very small number of these were released at that time but overall no it did not come out. 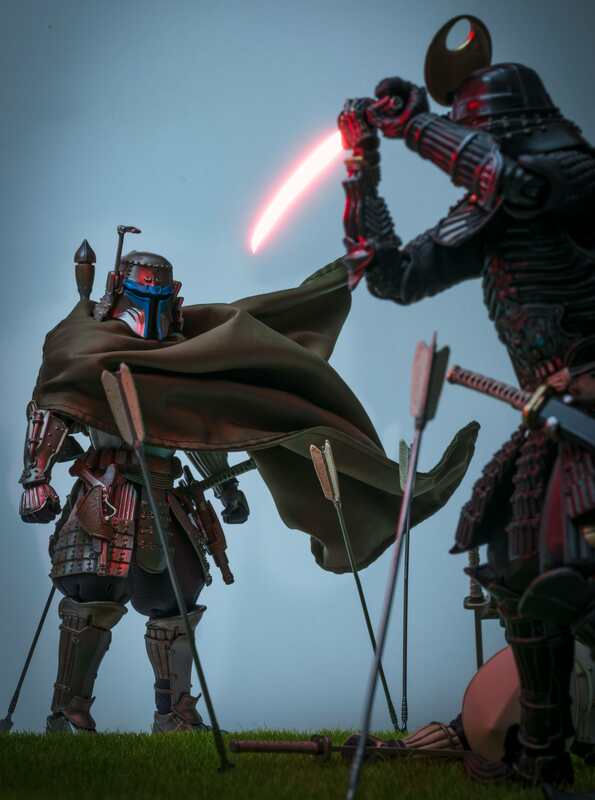 I predicted after a while that they would wait until TLJ's home release to release this figure and apparently this was accurate. 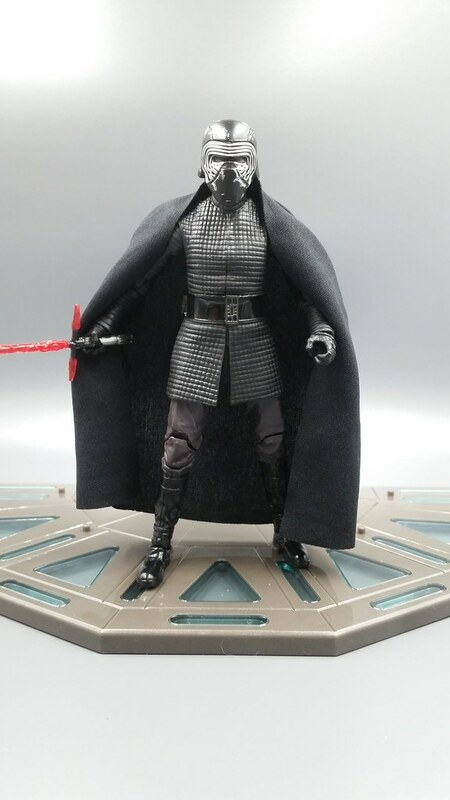 For the most part this figure is the same thing as the regular TLJ Kylo with some minor paint differences. 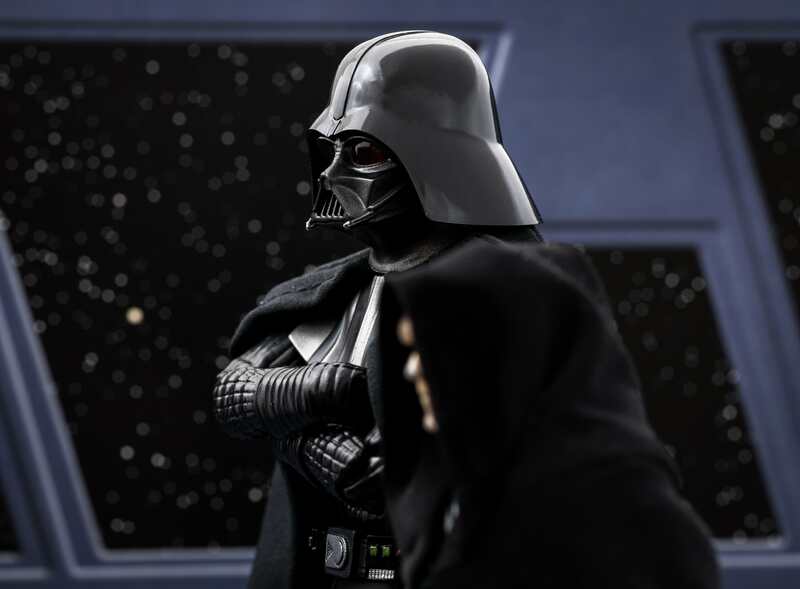 The notable differences are the face paint being much more pale with the scar being redder and more prominent, the cape being fabric instead of plastic, and the die-cast helmet head. The cape being fabric is overall poorly executed, while he can strike more dynamic poses with it than the plastic cape it falls off easily and just doesn't look as good (especially lame given that original solicit images for this one showed what looked like a great fabric cape with notable detailing). I feel like some kind of collar to keep the cape on would have been a huge improvement. I do really like the helmet, being die-cast gives it a nice metal appearance. 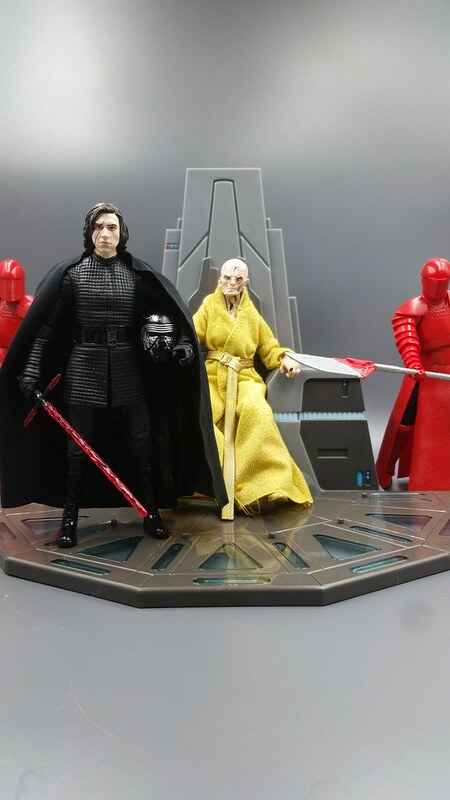 The throne floor piece doesn't actually connect to Snoke's throne, it just fits in front of the throne but I appreciate the display it creates anyway. Personally I'm glad I skipped the regular TLJ Kylo and waited for this one, even though he ditches the helmet very early in the movie I still prefer having the option for my figure to wear it. ^ I like the red scar... the regular version has a scar, but it is unpainted. And in my mind default Kylo Ren will always be with his helmet even if he never uses it again. Even though I hated Last Jedi I still really like Kylo Ren... damn I wish the regular version came with a helmet... I doubt any future Kylo Ren figs come with a helmet. Now watch him bring the helmet back in the next movie. 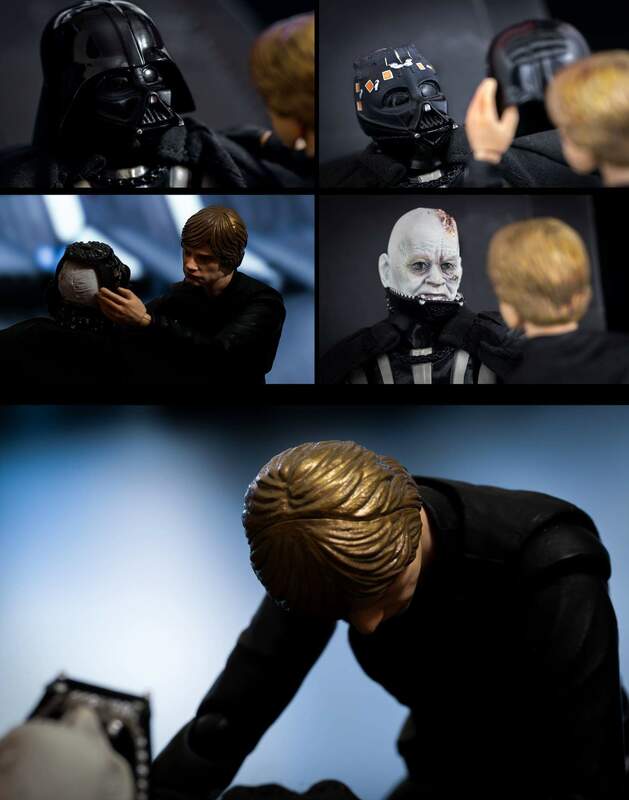 Now you've got me thinking of a scenario where someone laughs at him and calls him emo, so he goes crying back to his helmet so people will stop making fun of him. 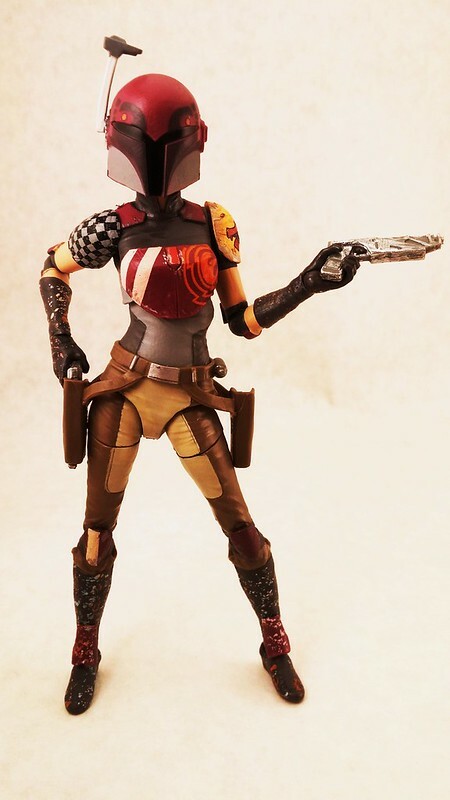 it's funny/odd to me what actually makes the connection that we decide we WANT or Dont want a figure. Sometimes there's a cool IP (intellectual property) that we love which makes us want the figure, sometimes its' the aesthetics of the figure itself regardless of an IP. i say this because I JUST watched this scene (snoke/rey/kylo/guards) and LOVED IT. i thought it was GREAT. 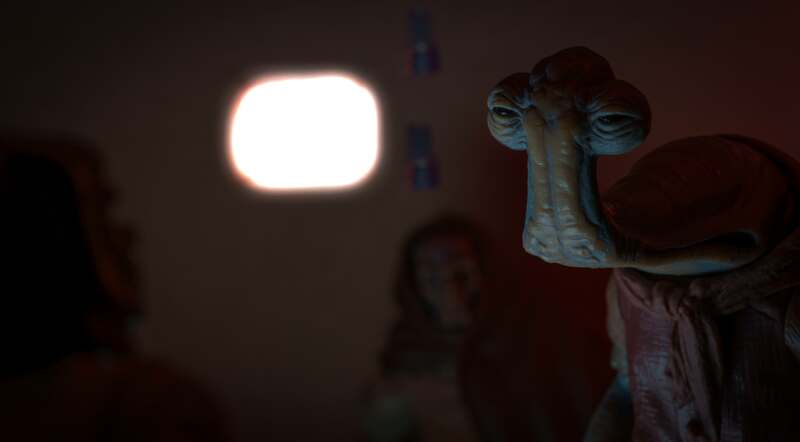 and even though i did buy a snoke figure...as much as I loved that scene i have zero desire to recreate that scene in any way. 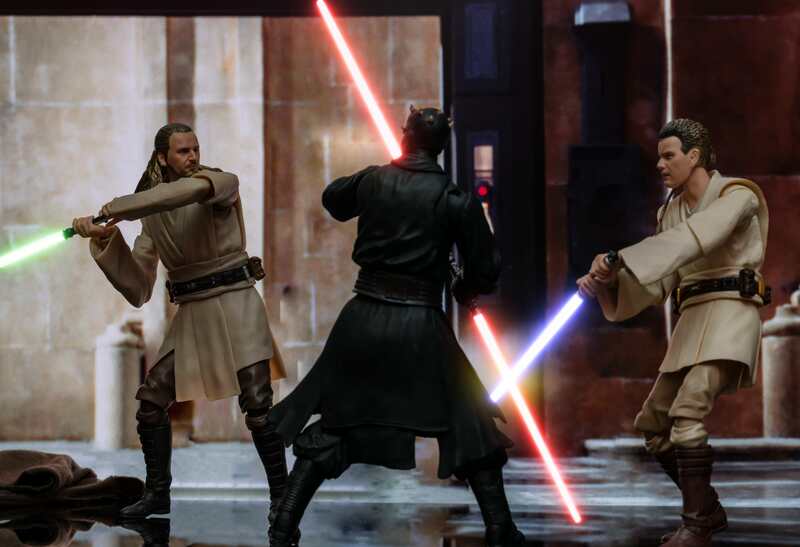 i don't want those guards, that kylo, that rey, none of it. Just odd sometimes how that "desire" works. 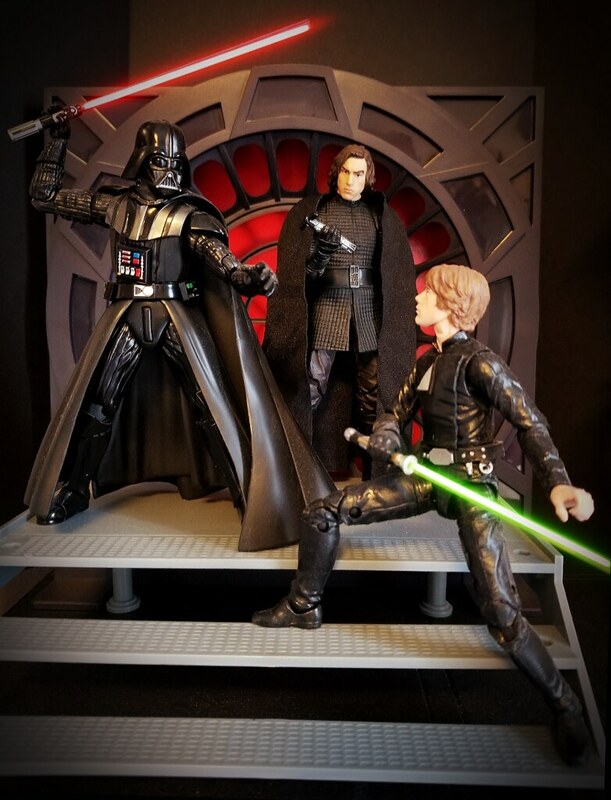 Last edited by DarkToyLord; 04-03-2018 at 02:37 PM..
Hi guys, quick question about SW on 3.75 scale. 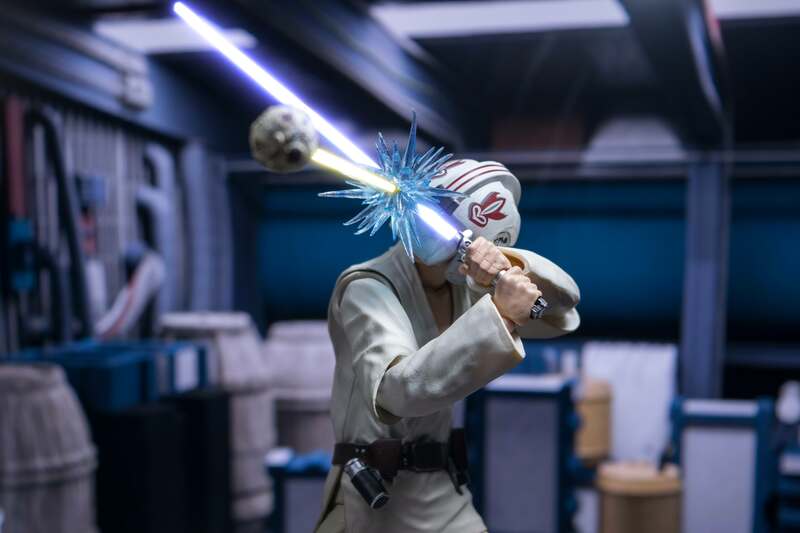 Do you know if we'll still have some Black Series with a lot of articulations, or are we stuck with 5 POA for some time now? 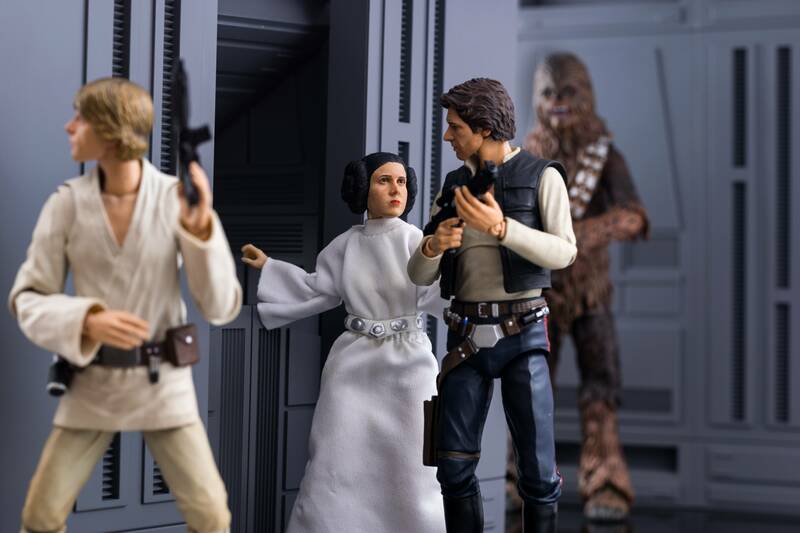 The Vintage Collection (classic cardbacks) is replacing the Black Series with the same type of high articulated figures. The first wave is already starting to show up with Snoke & a re-released Hoth Rebel Trooper. These are the first 6 of the new Vintage style. The numbers even continue from where the previous collection left off. Make up your mind already Ben! 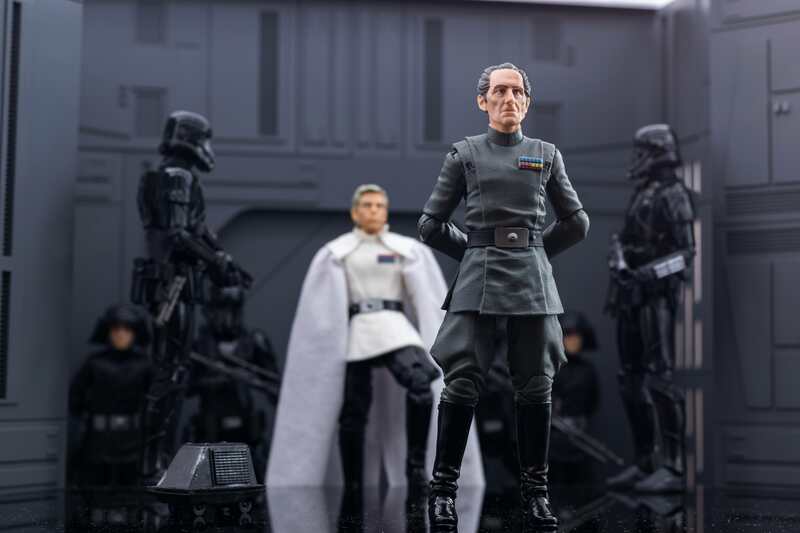 Tarkin is one of my favorite figures of the year so far, I think Hasbro just nailed it. 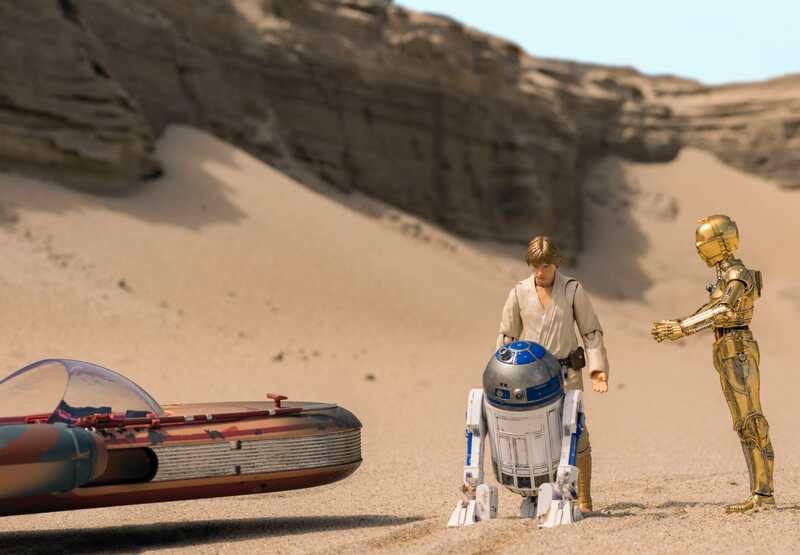 It doesn't make a ton of sense including the interrogator droid (Dr. Ball!) 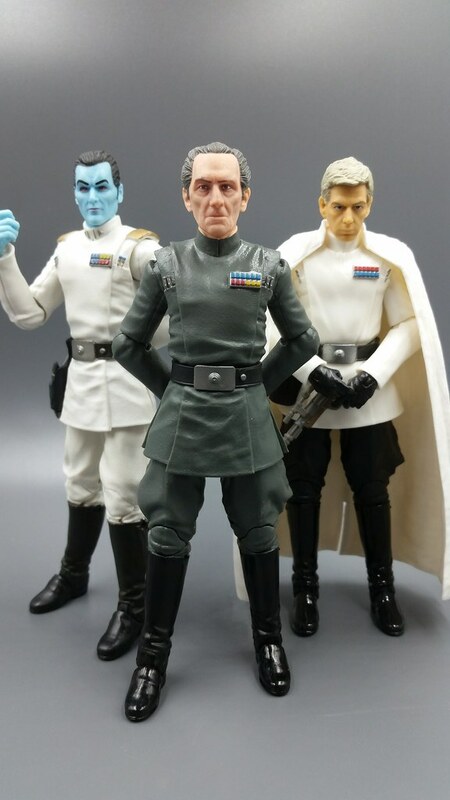 since Tarkin wasn't in that scene but since he was always unarmed I can't complain about them including something extra. A mouse-droid would've been a fun inclusion while they were at it. They are all re-releases except Snoke. I recently got back into collecting again thanks to EP7, The Black Series and Figuarts. And through it I ended up finding a new hobby that gives me a reason to collect beyond just having some cool toys. 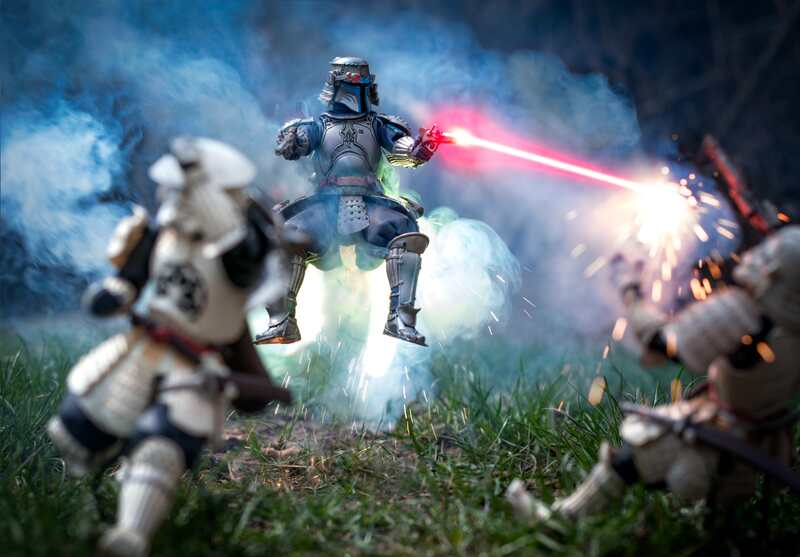 Toy Photography. Star Wars is pretty much my main focus, but I do branch out every now and then. Last edited by SlamSlayer; 04-24-2018 at 03:23 PM..